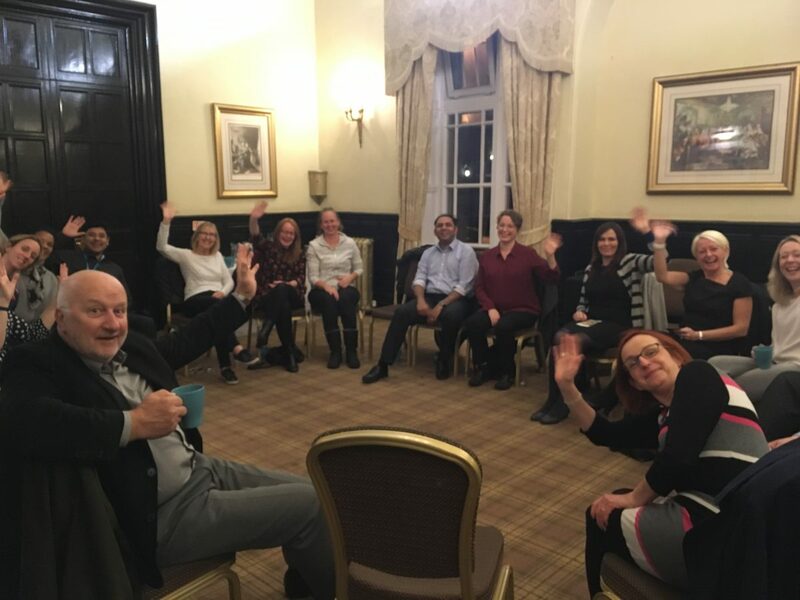 A light Autumn shower failed to dampen the spirits of the East Lancashire Collaborate contingent, who met up for their second gathering at the Dunkenhalgh Hotel in Blackburn. It may have been dark and it may have been muddy, but in true Collaborate style, everyone was keen to get outside and go for a walk. Before setting off, everyone paired up with someone they didn’t know or didn’t know well. People suggested topics for purposeful discussion such as, “Where do you get your energy from?” This proved a popular talking point, with many people noting that their motivation comes from connecting with positive and like-minded individuals. After supper, conversation continued with a round circle discussion. The topic of vulnerability came up, specifically the value of showing your vulnerability, and the important role multidisciplinary teams and networks can play in terms of providing support. By the end of the evening, everyone agreed that a bottom-up way of involving all stakeholders, including patients, is a powerful way of achieving change.